Editor’s note: From the Inside The Pew archives; run date July 20, 2009. 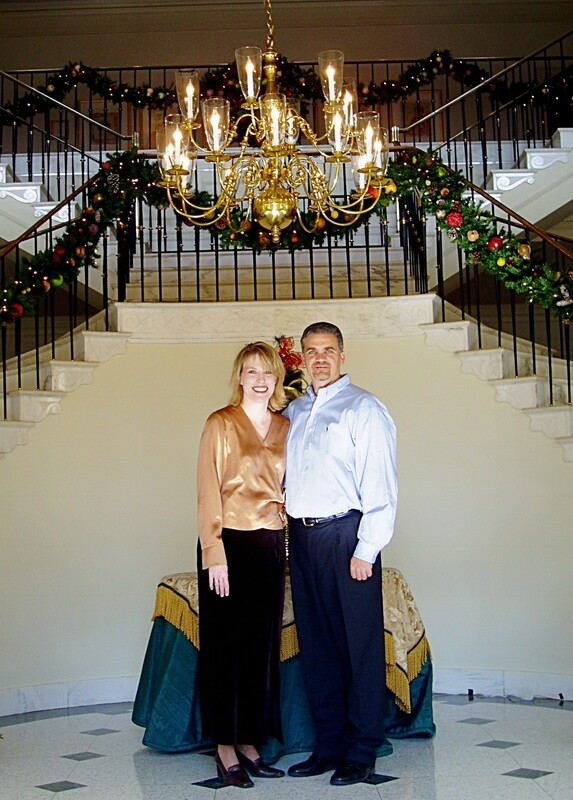 DALLAS – How important is the role of a Christ-centered family in the life of a child? One Dallas-based ministry believes it is essential. 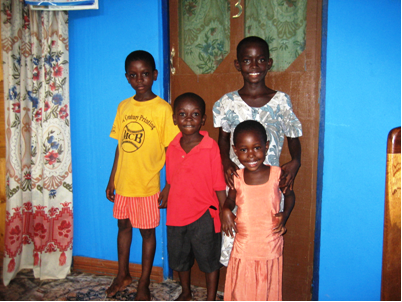 These four children are from the village of Ateiku in the western region of Ghana. The two boys, who are brothers, were taken in by Ateiku’s preacher/missionary, Lawrence Orduru, after their parents were killed, saving their sons from a housefire. The older girl was taken in by Orduru after her mother was caught beating her daughter in public. The mother then abandoned the girl and told Orduru to take her. The youngest girl in the picture is Orduru’s daughter. Pine and his staff of licensed counselors and trained volunteers who regularly serve at ChristianWorks, passionately believe that a healthy, Christ-centered family is vital for the well being of all children, their parents, and the community as a whole. ChristianWorks for Children has faithfully served Dallas and the surrounding area for 42 years. It began as a ministry of the churches of Christ in an attempt to provide pregnant women with maternity homes and adoption services. In the mid ‘90s, ChristianWorks expanded its program to include counseling services. This addition was “driven by a desire to help keep families together” and to “help parents help their children” by providing Christian guidance, Pine said. The ministry has grown significantly, and the counselors at ChristianWorks currently minister to families from all over the Metroplex. In 2000, the need was noticed for a grief ministry for children. 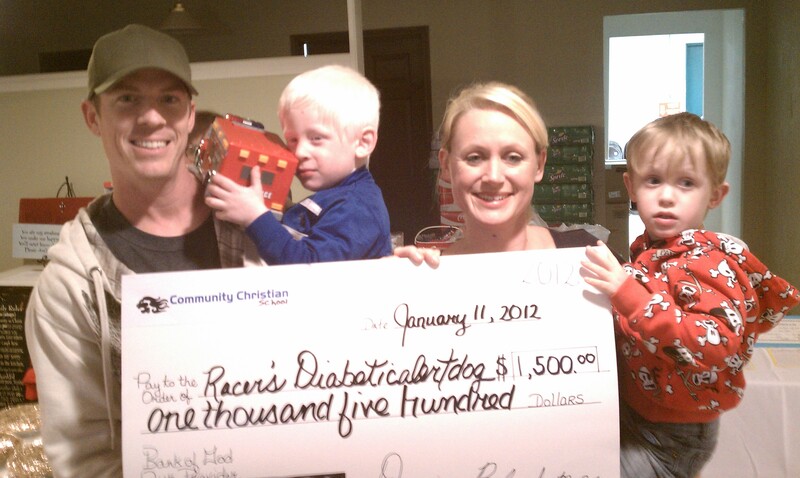 This prompted ChristianWorks to design Dallas GriefWorks for Kids. Beginning with only one child, GriefWorks currently serves 39 families. The three ministries of ChristianWorks for Children (AdoptionWorks, CounselingWorks, and GriefWorks) were all established for the same purpose. CounselingWorks offers professional counseling for individuals, couples, and families on a sliding scale based on family income. It also provides churches and organizations with the opportunity to join the church and corporation sponsorship program, which allows for members of those churches and organizations to receive counseling for $20 a session. GriefWorks is a free program which offers help and support to children ages 5-18 who are suffering the loss of a loved one. Groups meet bi-weekly, and after enjoying a free meal provided by local volunteers, children split up into age groups to learn about and discuss a new aspect of grief each session. Larry Barbar is director of CounselingWorks and GriefWorks. The goal of AdoptionWorks is simple, Pine said. But there is no doubt that the ministries of ChristianWorks are effective. “What we do has long-reaching effects, into many generations, which change the face of eternity, change lives for eternity,” Pine said. How to get involved: To take advantage of the services of ChristianWorks, join the church and corporation sponsorship program, call Kristina at (972) 960-9981 or visit www.christian-works.org. Approximately 9,475 Texans heard inspiring messages of forgiveness, hope and purpose from evangelist Will Graham as he held the Red River Will Graham Celebration in Gainesville, March 16-18, and the Trinity Valley Will Graham Celebration in Terrell, March 23-25. More than 400 came forward at the invitation to make a decision for Jesus at the two events. Graham was joined on-stage throughout the two events by a variety of musical acts. The Red River Celebration featured The Afters, one of today’s top Christian rock bands, who have had songs featured on many television shows, including “The Biggest Loser” and “Grey’s Anatomy.” The audience also had the opportunity to hear from the Northern Ireland-based Rend Collective Experiment, and hip-hop artist Tedashii. The Trinity Valley Celebration featured music from Grammy Award-nominated band Fireflight and singer-songwriter Brenton Brown, along with Rend Collective Experiment and Tedashii. Both Celebrations dedicated a morning to children with KidzFest events, featuring bounce houses, balloon animals, games, and a program tailored just for them by children’s performer Tommy Toombs. Books and articles on marriage enrichment are a dime a dozen and for the most part are “inspirational” in nature with little focus on the word of God. Obviously secular works ignore the word of God, but those of the Christian variety often do not fare much better. too far down the road of human viewpoint and need to make our way back to God’s perfect, divine viewpoint, the means by which we are to live the Christian life. This is especially true in our marriages. Let us first ask the most basic question: “Why are we here?” As believers we know that God created us to bring glory to Himself (Proverbs 16:4, Isaiah 43:7,21, Psalms 86:9, 1 Corinthians 8:6, 10:31, Ephesians 1:11-12, etc.). Suffice it to say the marriage of believers is a primary means by which to glorify our Father in Heaven. The number one objective which must drive every discussion about the Christian marriage is that the marriage must glorify God. For spiritually mature couples, this message frames every other discussion about every aspect of the marriage. The husband should, above all else, glorify God. The wife should, above all else, glorify God. The marriage should, above all else, glorify God. While spiritually mature couples are obedient to the passages above regarding bringing glory to God, spiritually immature couples, more often than not, seek happiness for themselves. They seek self-gratification at the expense of bringing glory to God. The solution for these believers is found in the word of God. With knowledge of the word of God comes spiritual maturity. The Bible speaks repeatedly of the importance of knowledge, wisdom, and an understanding of the scriptures. As believers learn the principles of Bible doctrine, they begin to apply the teachings to their lives. Bible doctrine is the solution to every problem. It is the solution to every marriage problem a believer may encounter. Without knowledge of Bible doctrine, spiritually immature believers are left to their own faulty, human viewpoint reasoning. They spend their time grasping for happiness. Many misguided, spiritually immature believers fail miserably in their pursuit of joy, but more importantly, they fail to bring glory to God. When you are ready to get on the road to spiritual maturity, find a pastor-teacher who teaches the word of God in a systematic and methodical verse-by-verse method. Ask the pastor- teacher to recommend Bible commentaries and other resources that take you through the doctrines in the scriptures. The husband should study individually, the wife should study individually, and together the couple should study Bible doctrine. While gaining in knowledge, wisdom, and understanding of the Bible these spiritually maturing believers are sure to bring glory to God. 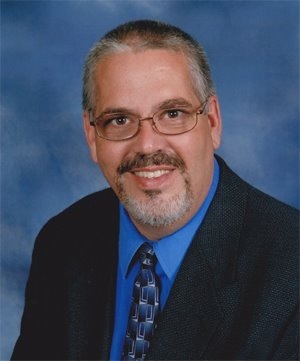 Todd is the author of “Marriages That Glorify God.” He earned a Bachelor of Arts degree in Psychology and Sociology from the University of Mary-Hardin Baylor, and a Master of Science Degree in Counseling and Guidance from Texas A&M at Commerce. He has worked in the field of community mental health for 20 years and has been a Licensed Professional Counselor in Texas for 18 years. He serves as the executive director of a large company providing community mental health services and is the founder of D. Todd Wright Ministries. Todd has been married to his wife, Fonny, for seven years. the reality that her world will no longer be the same comes crashing against her. She lies there, crying and helpless, wondering how she will survive financially, what her friends will thing, and how her children will survive without their father in their daily lives. 78 percent of the U.S. current prison population was raised in a single parent home. 71 percent of all high school dropouts came from single parent homes. 1 in 3 single mothers live in poverty. Children in single parent homes are five times more likely to commit suicide. They are 32 times more likely to run away. They are 10 more likely to use drugs or alcohol. And this is just the tip of the iceberg. By all accounts, today’s society is currently in the midst of a single parent crisis that affects our economy, abuse rates, crime, education, and our future generations. We know that we are under biblical mandate to serve the least of these, the forgotten, the broken, the marginalized. The questions is, “What are you, the church, doing about it?” For far too long, the church has ran from the single parent home. Recent studies suggest that 67 percent of single mothers in the United States do not actively attend church (“The Church and the Single Mom,” Carepoint). It is one of the fastest-growing sects of the population, and there are approximately 9 million unchurched single mothers in our communities across this nation. The Life of a Single Mom Ministries was founded as a solution to this very concern. Less than 1 percent of the 300,000 evangelical Christian churches in the United States do nothing for single mothers, and the few that do struggle with how to run effective programs that go beyond a one-time-a-year Christmas or Thanksgiving event. TLSM is on a mission to change all that. TLSM provides resource to equip pastors, leaders, and laypeople on how to launch effective single parent programs within their church. TLSM has helped more than 400 churches in the United States and served leadership in 19 countries. But the work is not done. Praise God for the cutting-edge churches across the country who has embraced this endeavor! Has yours? 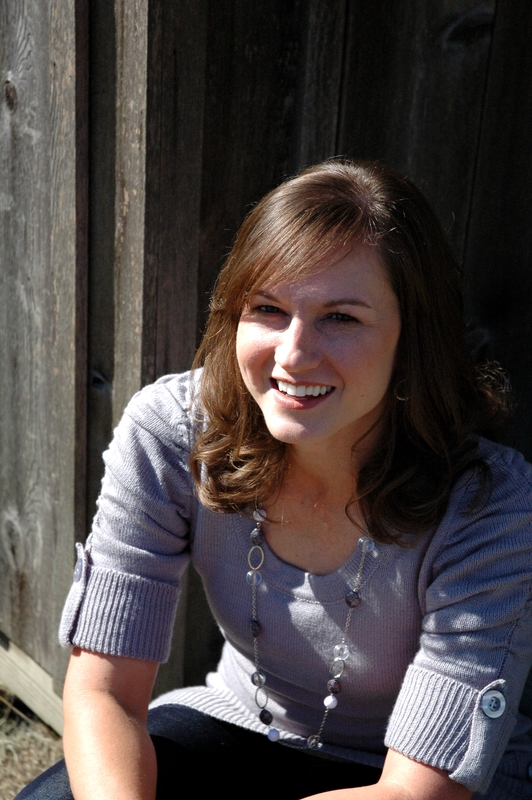 Jennifer Maggio is critically acclaimed author and speaker who is also founder The Life of a Single Mom Ministries. TLSM was founded from Maggio’s own journey and resolve to not be just another statistic. Maggio has appeared on more than 100 radio and television shows and writes articles for dozens of magazines. Her products are endorsed by LifeWay Christian Stores, Focus on the Family, The 700 Club, and many more. For more information, visit http://www.thelifeofasinglemom.com. meditations, scripture lessons, and sermons. The site boasts visitors from 45 states in the union, nine countries. “In the beginning, viewers were concentrated in Northern Ohio and Chicago, and then it started to go everywhere – including California and Texas,” he said. The PHN “Links” page includes church, organization, and indie Christian musicians and singers listings. To hear sermons, viewers must clink on the churches’ websites on the “Links” page. Wilson said a benefit of listening to music on PHN is that since the site is stockpiled with MP3s, listeners can hear the song from beginning to end. 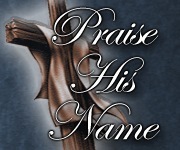 The user is to click on the “Praise His Name Media Player” to gain access to music selections. Featured artists include Beth Champion Mason, MARK 209, and The Chrisagis Brothers. In addition, Wilson said, PHN is a good avenue for indie artists to gain exposure. An added bonus of the site is the PHN Music Video of Week. “All music selections are originally written and performed by the artists,” he said. Christian comedians and troupes such as Ken Davis, the Sheep Laughs Comedy Show, and Brother Billy Bob Bohannon also have a place on the PHN. The individuals place their unique take on the spiritual walk. Wilson said each submission for a Christian comedic appearance on PHN is carefully screened. Furthermore, Christian movie happenings are provided via Christian Film News (www.christianfilmnews.com) and Christian news through Inside The Pew (www.insidethepew.net). These links are displayed in the news ticker on the front page. “We are trying to get to the people who were not churchgoers without throwing it (Christianity) into their face. The intent is to preach to reached and unreached,” Wilson said. As of press time, Wilson estimates the site averages 500 visitors per month. In addition, he said he is working on obtaining PHN’s 501 (c) 3 status. This is exactly what has been going on at the South by Southwest technology conference in Austin. 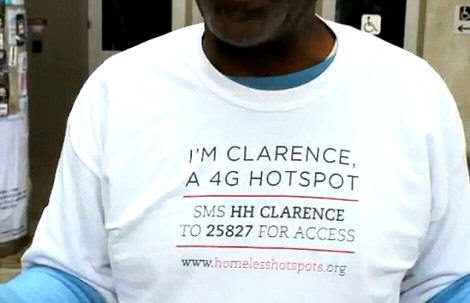 BBH Labs called “Homeless Hotspots” a modern version of the street newspapers homeless people often sell on the streets of big cities. After scrolling through the BBH Labs website, we found a very well thought out program. The only amount of cash that exchanged hands was the $20 given to each “Hotspot Manager” per day. Everything beyond that, in collaboration with case managers from a local shelter, was returned to the hotspot manager as part of a program to help save for employment and housing needs. When asking some Joy Junction residents about what they thought, we received a myriad of responses. One person wanted to get involved immediately. Though this program seems to have generated the wrath of some, we would be interested to see after further research, where BBH Labs take this idea. We are both totally opposed to anything that would in any way exploit the homeless and add trials to their already difficult life and the multitude of problems they face. Our quick assessment of what this program was offering didn’t find any hint of exploitation. Assuming that the reality of this human Wi-Fi vendor program is what we believe it to be, we’d even like to suggest that BBH Labs talks to us about joining with Joy Junction if they choose to do this venture again.